Doy Charnsupharindr (CEO & Executive Coach) and Jennifer Caleshu (Facilitator; Executive Coach) from the Berkeley Executive Coaching Institute, previously hosted a webinar (you can see the recording here) discussing how they teach leadership presence online. They currently offer their Authentic Leadership Presence online, and found that the NovoEd platform enabled them to teach those skills and offer a highly personalized experience to their learners. Authentic Leadership Presence is a combination of authentic leadership and leadership presence. It’s about the impact you have on someone else. 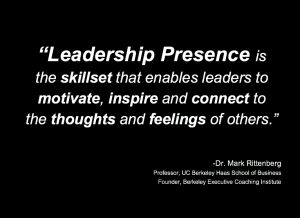 To borrow the words of Dr. Mark Rittenberg, founder of the Berkeley Executive Coaching Institute: “Leadership presence is the skill set that enables leaders to motivate, inspire, and connect to the thoughts and feelings of others.” While this presence may be a natural gift, Charnsupharindr and Caleshu believe it is also a specific set of skills that can be learned and developed by moving through the three stages of learning in the Authentic Leadership Presence course: explore; reflect; practice. Can You Teach Leadership Presence Online? Charnsupharindr and Caleshu shared the structure of their course as well as solutions they identified for some of the challenges of translating their in-person training to an online format. The six-module course begins with three modules focused on participants discovering their own authentic leadership and presence: Getting to Know You (getting to know yourself); Making it Personal (identifying your own personal style); Leading by Example (taking your own experiences and leadership story to use as part of your own leadership). The final three modules are all about impact and integrating the previous modules into the way participants build trust with others, create an impact when they step in front of other people, and make it part of their ongoing development as they take action to go forward. Explore – Participants are encouraged to pay close attention to different styles of leadership by watching footage, from Nelson Mandela to Sheryl Sandberg, and observing people in their own lives. They note the ingredients of active communication skills which convey conviction: words (word choice); voice (tonality, volume, pitch, tone, pace, pauses); nonverbal communication (facial expressions, gestures, eye contact, posture). Reflect – Facilitators ask questions in discussion prompts: What does conviction look like to you? When was a time you felt you were able to bring forward your full conviction / passion? There are also journal prompts for deeper reflection on one’s own experiences. The resulting discussion, both with peers and with themselves, allows participants to gain a perspective on what is working well and areas where improvement is required. Practice – Part of this learning journey is getting people to practice how to be a good support network for others and how to share helpful feedback. After a participant records and shares a video tell her leadership story, others are encouraged to leave feedback on the assignment submission. “Feedback helps you understand something but also feel connected with the content once you have practiced it,” says Charnsupharindr. 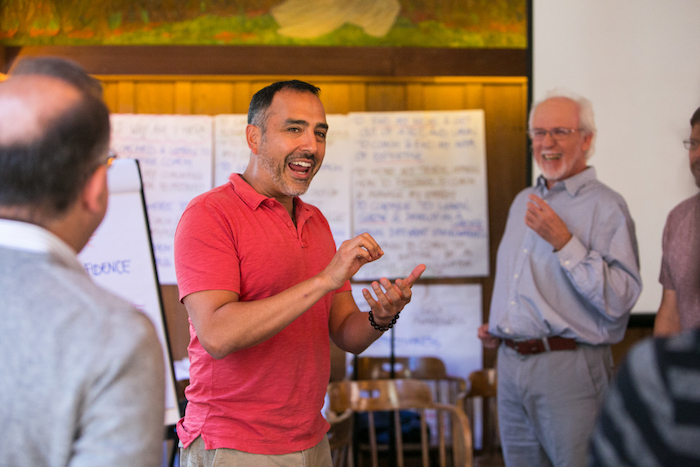 As participants share their stories and offer each other feedback, they are practicing how to convey their authentic selves and talk about themselves as leaders. You can watch the full webinar recording here. To learn more about the NovoEd Learning Platform, contact us at NovoEd Sales.